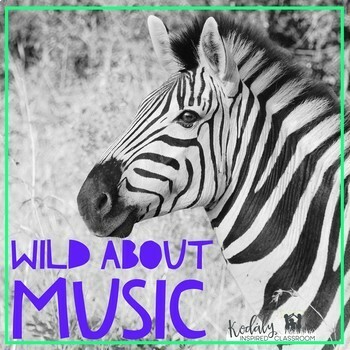 Kodaly Inspired Classroom: Are You Wild About Music? Are You Wild About Music? 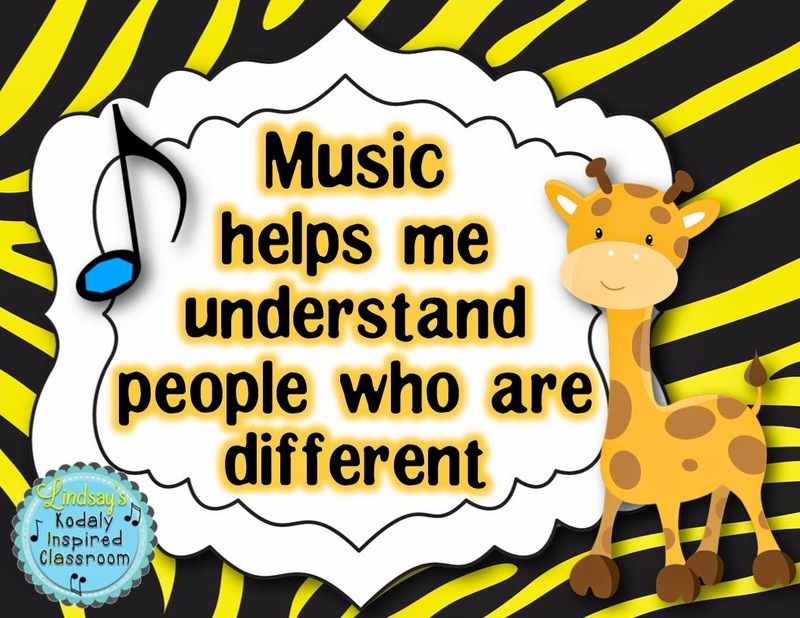 March is Music In Our Schools Month, and it is just around the corner! 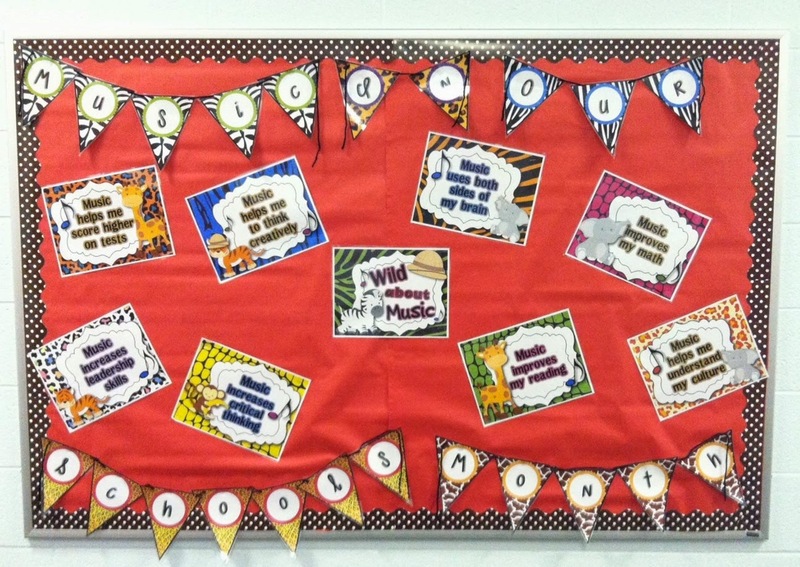 Last year, I put together an advocacy bulletin board set for MIOSM titled "Wild About Music". 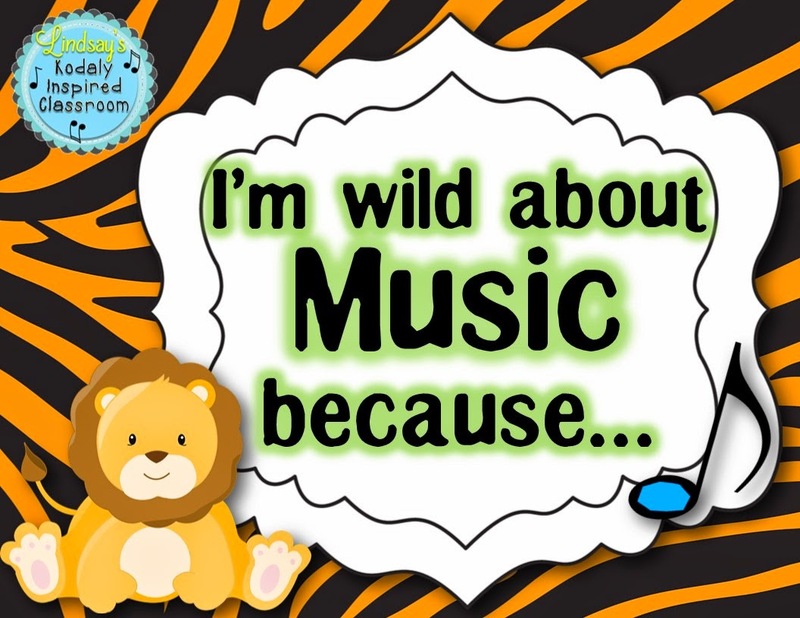 It also came with printable student sheets where students could write why they are wild about music. I wasn't able to get it printed in time to use last year, but Jena Hudson did and she created a cute little banner to go along with it here. Here is the finished bulletin board from Jena's classroom. This year I hope to display this board and it will fit perfectly as I am currently prepping a circus themed program with my first and second grade students! I love seeing finished bulletin boards from things I have created, so I thought I would do a little giveaway! 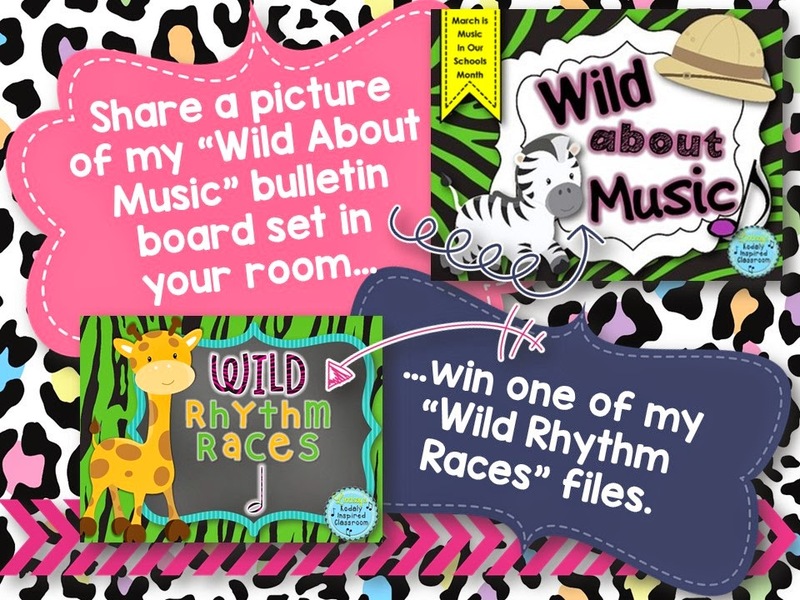 If you send me a picture of your finished bulletin board using my "Wild About Music" bulletin board set from 2/14/15 - 3/31/15, I will send you any (one) set of my "Wild Rhythm Races" games FREE! You don't have to enter to win! Everyone who sends me a picture via email or posting it to my Facebook page will get a free copy of the Wild Rhythm Races concept of their choice! Do you already have a different theme in mind for MIOSM? If so, what is your theme going to be?